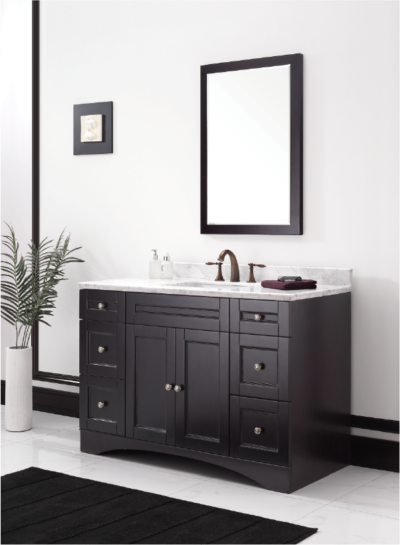 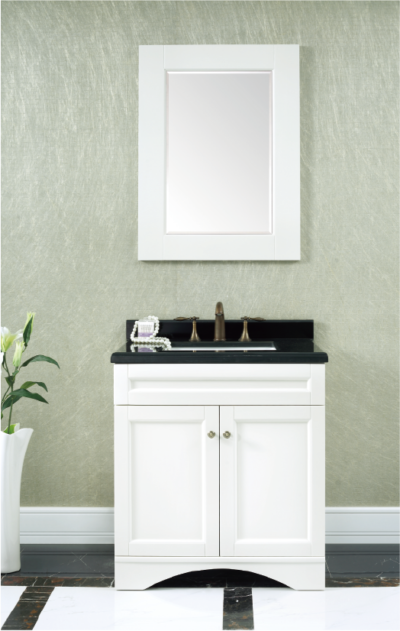 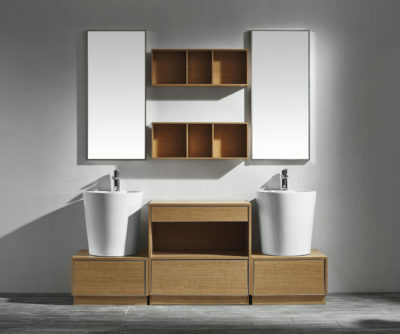 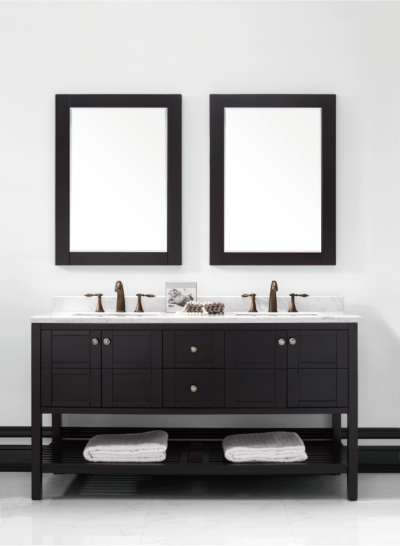 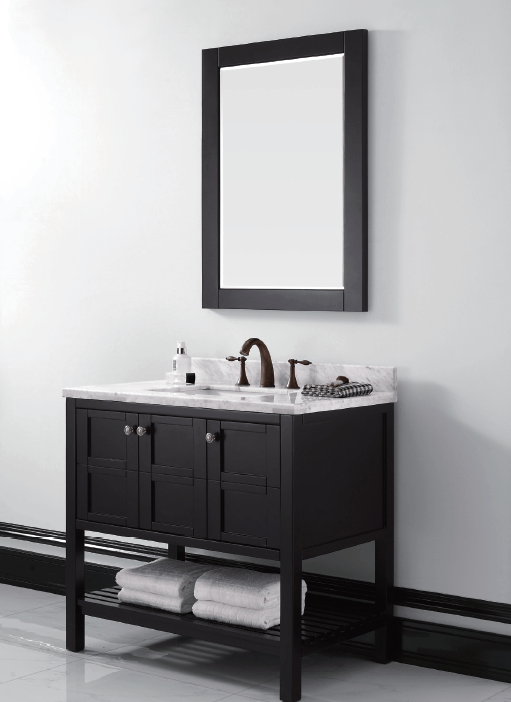 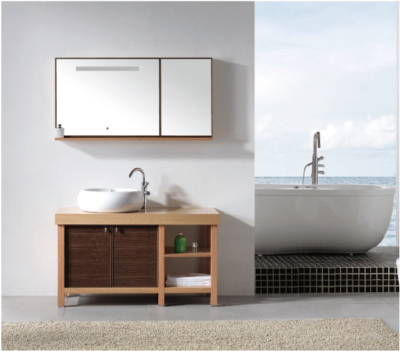 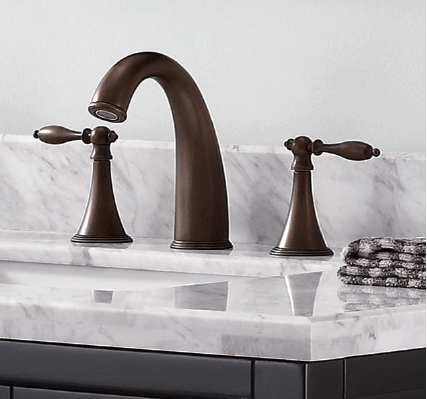 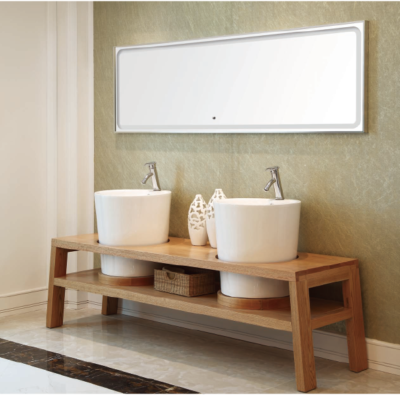 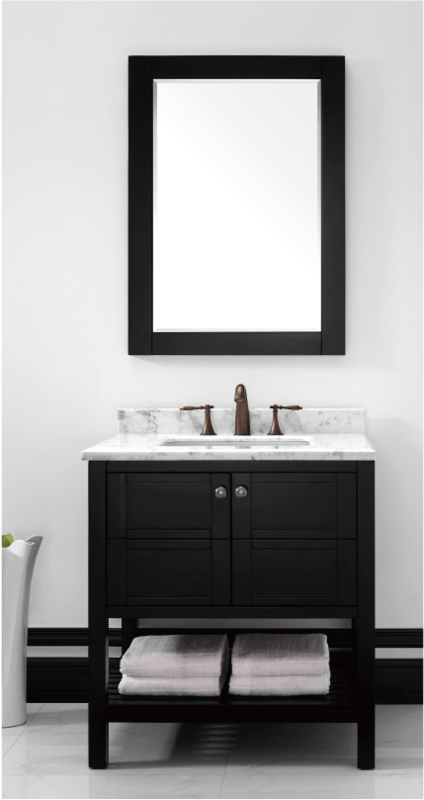 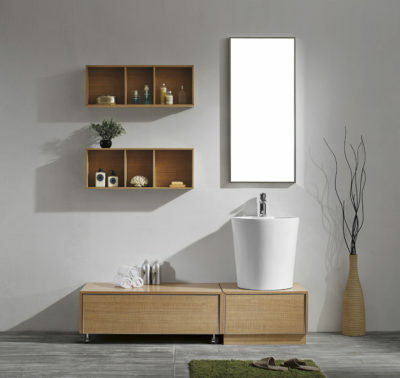 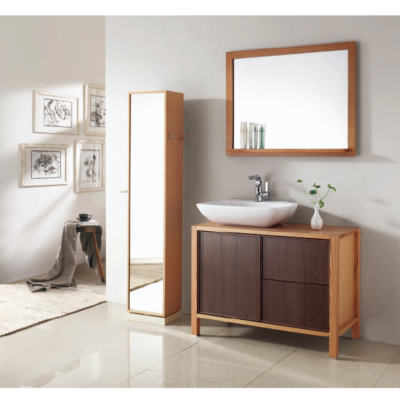 Keep your bathroom organized with this Mela vanity cabinet. 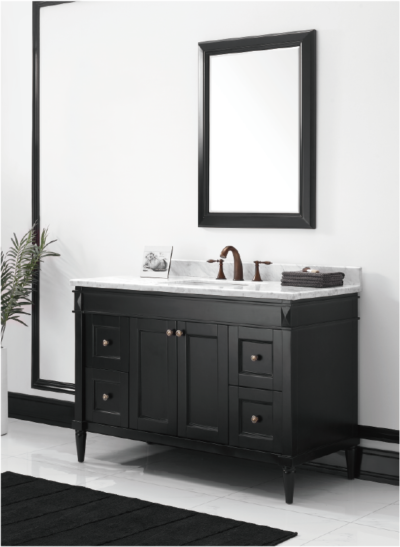 The trim symmetrical design of this vanity base is accentuated by a chic black finish which adds a touch of modern elegance to your space. 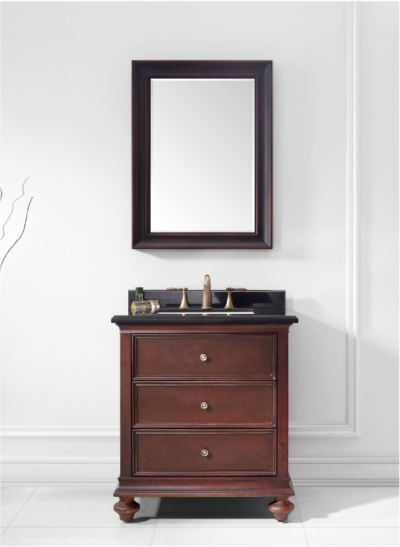 Store toiletries and other accessories in the upper drawers and keep towels neatly folded on the bottom shelf for a tidy look.